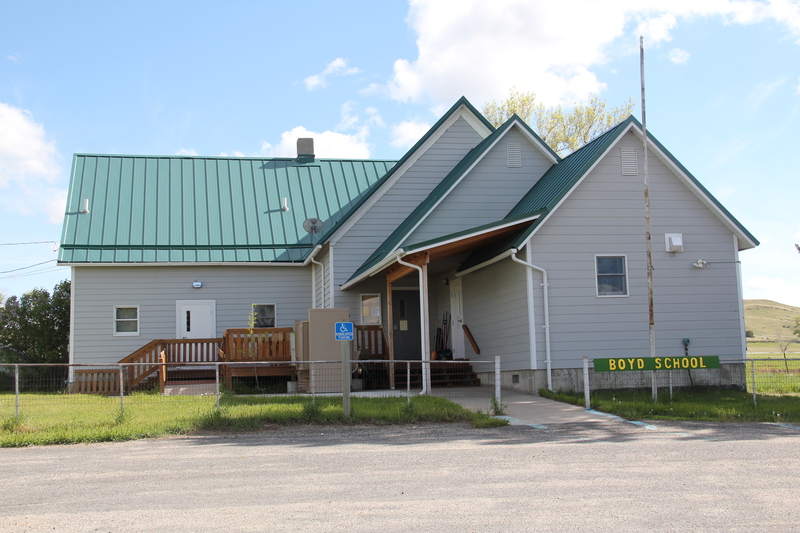 In the northern reaches of Carbon County are two additional towns on U.S. 212 I would like to review before I turn into a far different landscape in neighboring Big Horn County. 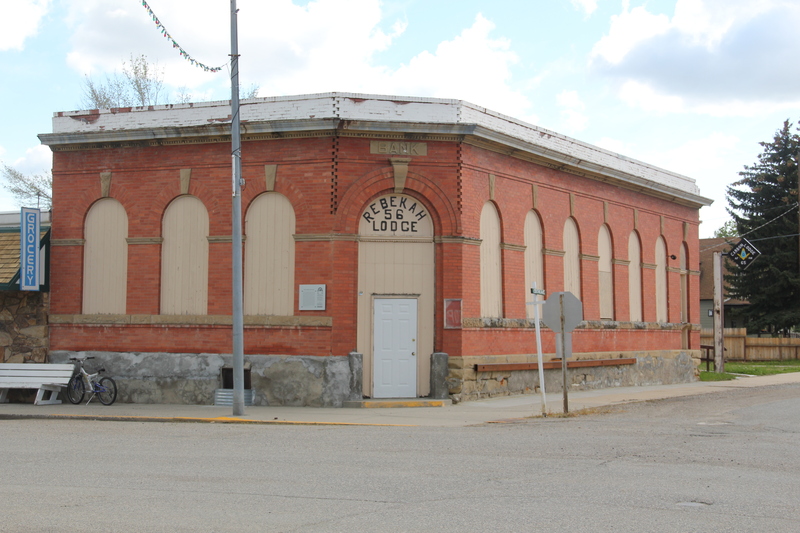 I looked earlier at the Boyd store, and its changes over 30 years, briefly in passing on to other railroad towns in the Clark’s Fork Valley. But Boyd is worth a second look if for nothing more than its rambling vernacular design post office since so many of those buildings have been replaced in the last 30 years by standardized USPS designs. The same can be said of the Boyd School, a frame building now encased in vinyl that has layers of history in it as the community made additions as necessary over the decades. Continuing north on U.S. Highway 212 is the much larger, prosperous town of Joliet. Joliet is an anomaly–its population now is larger than it has ever been since census data has been recorded. 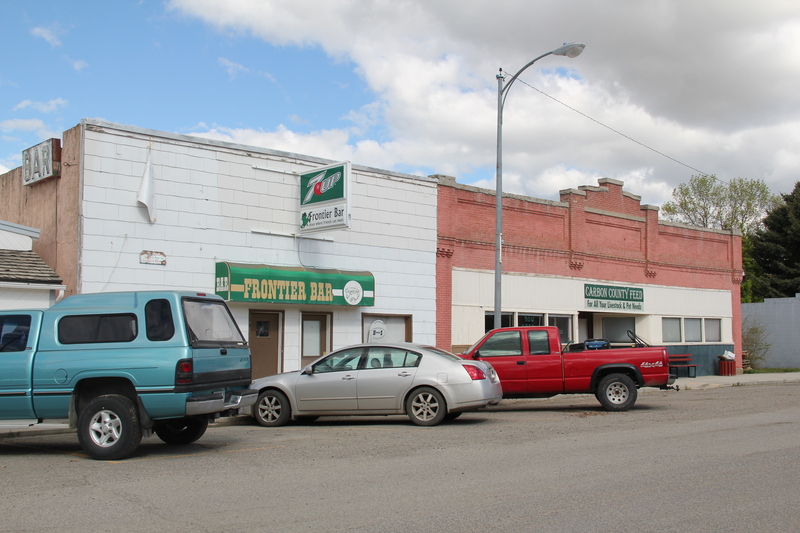 So many eastern Montana towns steadily lost population to where they are mere skeletons of themselves today. Joliet has avoided that fate; in fact its population in 2010 was slightly more than when I first visited in 1984. 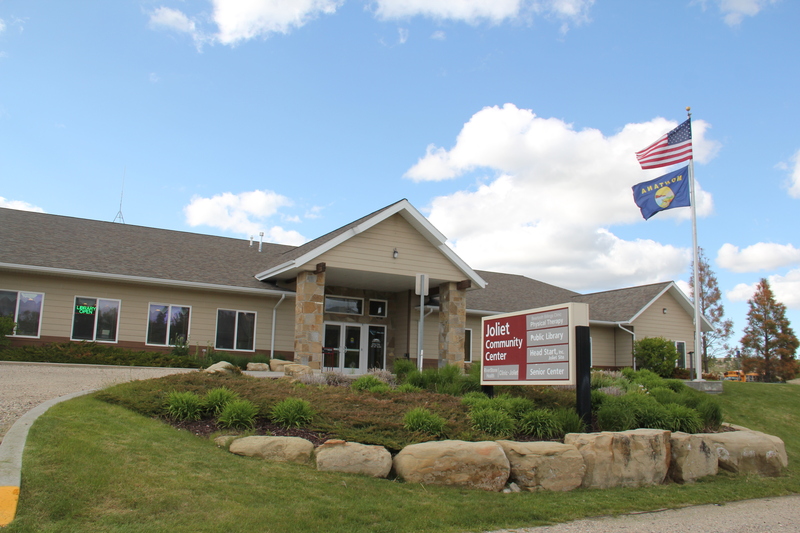 The Joliet Community Center symbolizes the town’s stability and sense of itself. The Rock Creek State Bank, now the Rebakah Lodge Building, anchors one of the town’s most prominent commercial corners. It is one of several buildings in Joliet listed in the National Register of Historic Places, including a large historic residential district, in the last 30 years. Joliet had nothing designated in the National Register when I visited in 1984. While there is a bright new sheen to a good bit of Joliet, the downtown still has that classic mix of vernacular frame and brick one-story commercial buildings typical of the turn of the century railroad/homestead boom towns. And like most, a tavern, in this case the Frontier Bar, is a permanent fixture in the town. 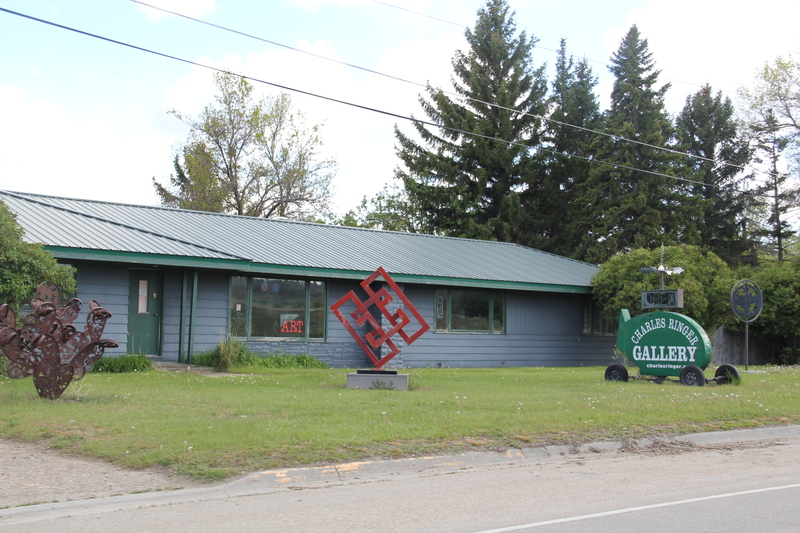 Outside of town is a wonderful array of roadside public sculpture, courtesy of long-time Joliet resident Charles Ringer. Ringer moved to town, purchasing an old junk yard and part of a WPA granary, in 1971. 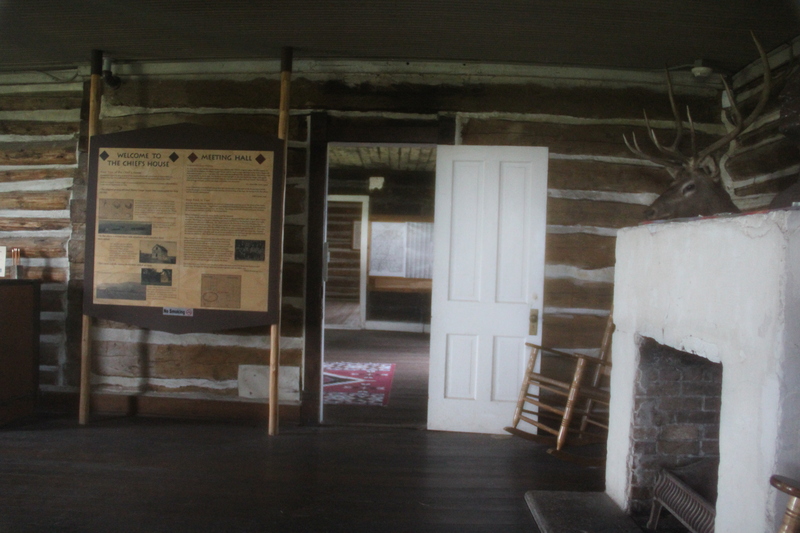 His works have become landmarks for travelers along U.S. Highway 212. Ringer runs a studio shop out of an old ranch-style house. 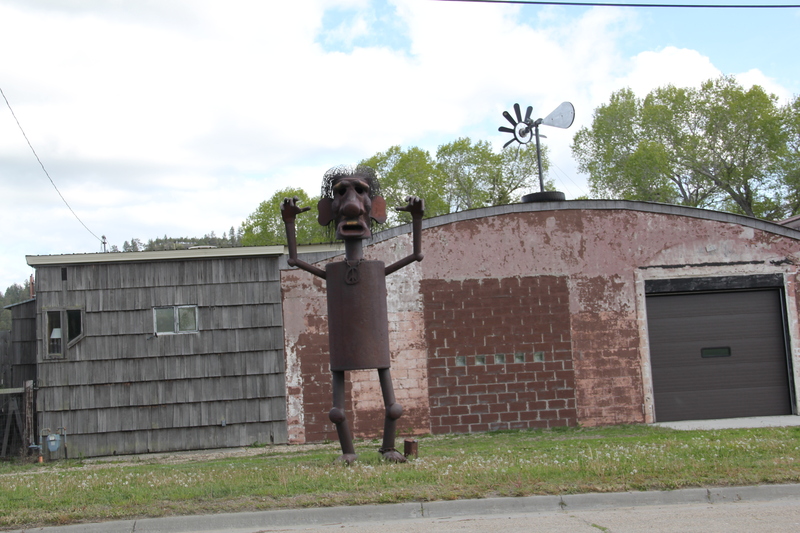 Known to many winter travelers as “The Snow God” but named “The Creature” by its creator Charles Ringer, this huge metal sculpture is roadside art at its best in Montana. 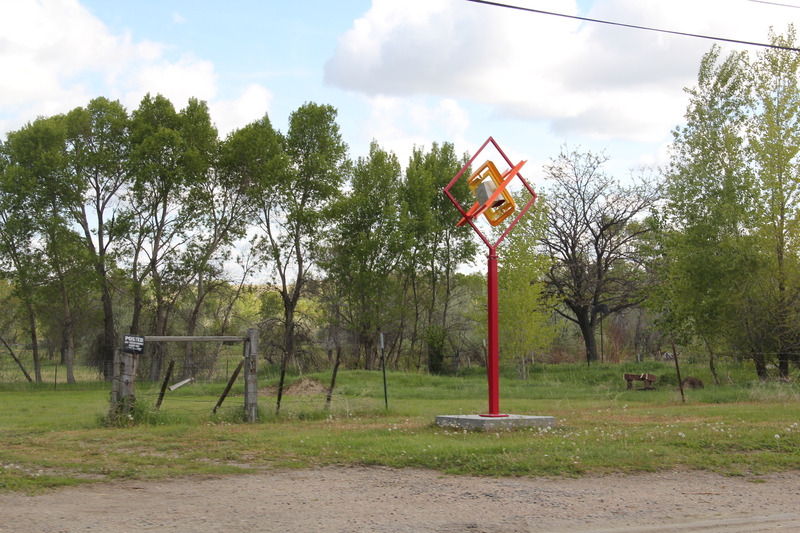 Ringer is also known for his various kinetic sculptures, and the entire property becomes a way for travelers to interact with, or just enjoy, the general wackiness of his creations. 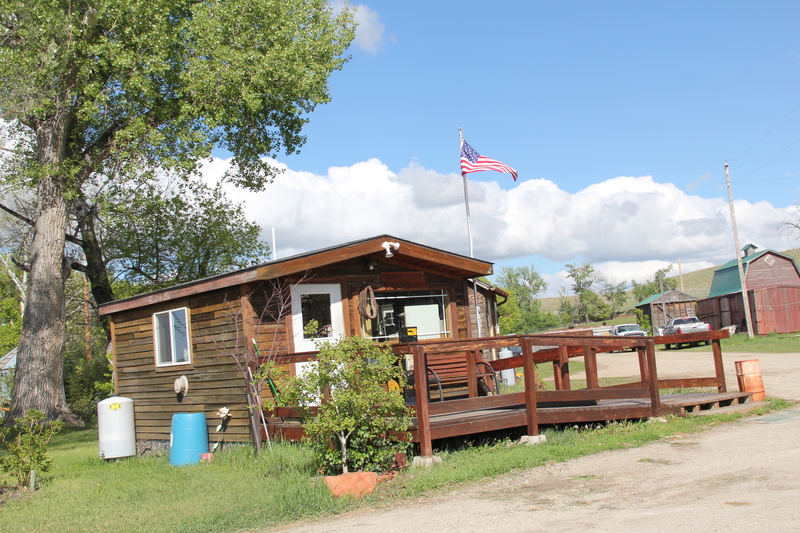 From Joliet you can strike out east on an improved gravel road, passing through the town of Edgar, and then climbing up out of the Clark’s Fork Valley and into the land of the Apsaalooke, or the Crow Indian Tribe. 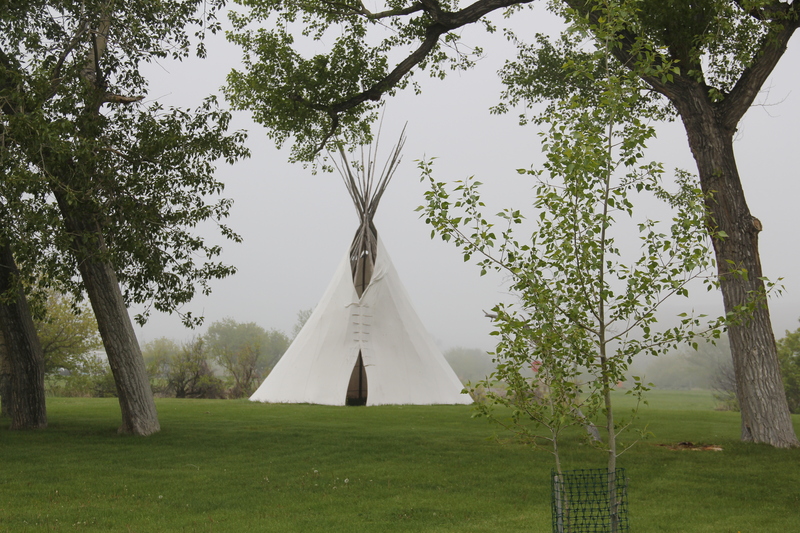 Traveling west in the Crow reservation, you encounter two instant landmarks, one much more recent than the other but both are tightly intertwined. 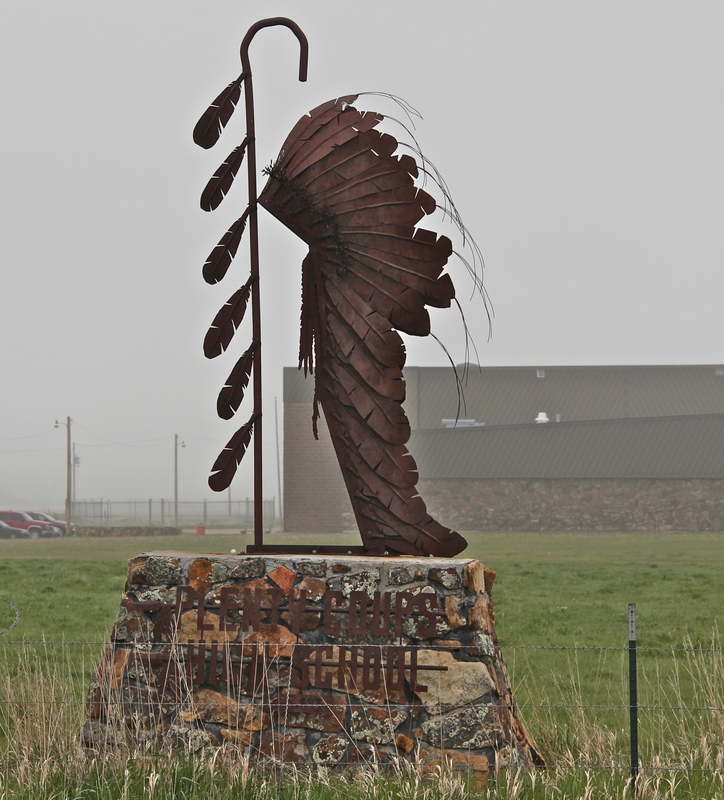 A compelling metal sculpture of a warrior announces the entrance to the Plenty Coups High School, shrouded on the morning I went there in 2015 by an early morning fog. it is a three-bay house with a centered front door, but actually quite spectacular in its interior feel of open space, and that its very size would have spoken to the family’s prominence and achievements. 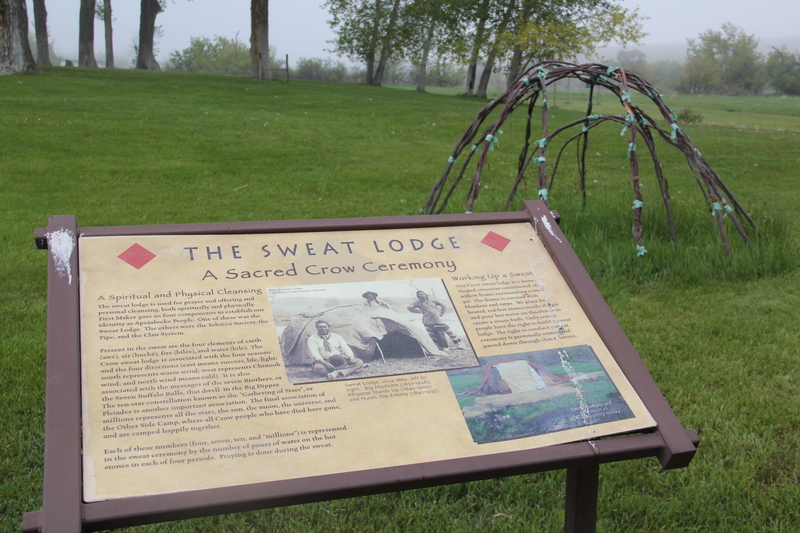 The park also interprets a traditional sweat lodge, adding to the understanding of tradition and new ways that blended to create the homestead. When Plenty Coups died in 1932 he was 84. He and his wife Strikes the Iron left 195 acres of their property to be a public park. 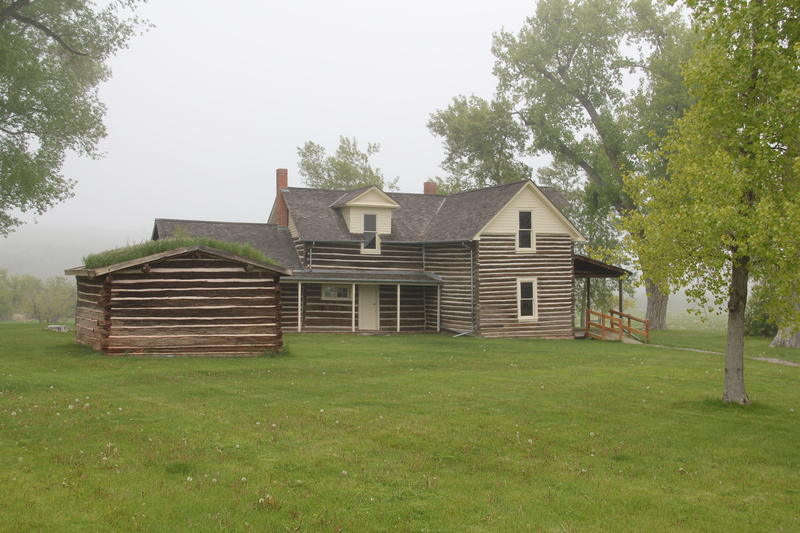 Later the National Park Service designated the site as a National Historic Landmark. Since my first visit in 1982 a new museum building had been added to the park, significantly enhancing the public interpretation of the site; you left with the feeling that this was just not a static installation and memorial (as it was in the 1980s) but a true museum and park which will continue to grow and adapt to the needs of the Crown Indian Tribe and the park’s visitors. 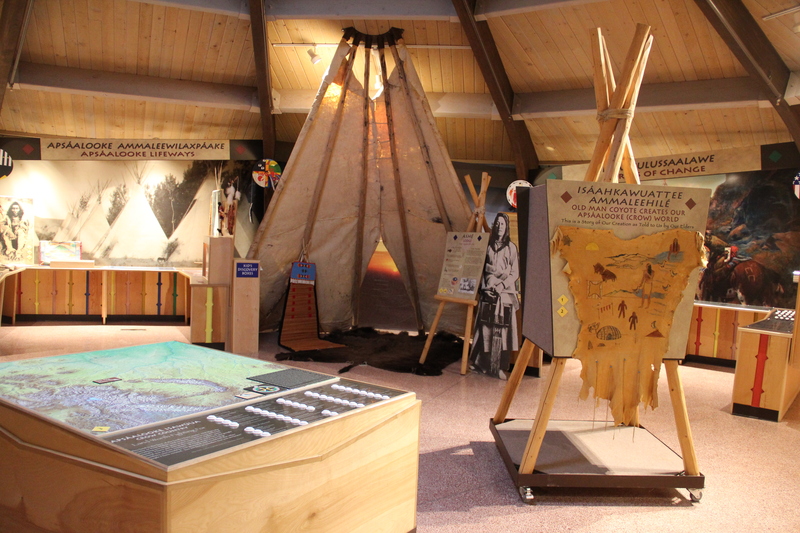 valley created by the water, a major battle between the Apsaalooke and their enemies the Lakota, Cheyenne, and Arapaho took place c. 1861–just at the time the Civil War was beginning in the United States far to the east. 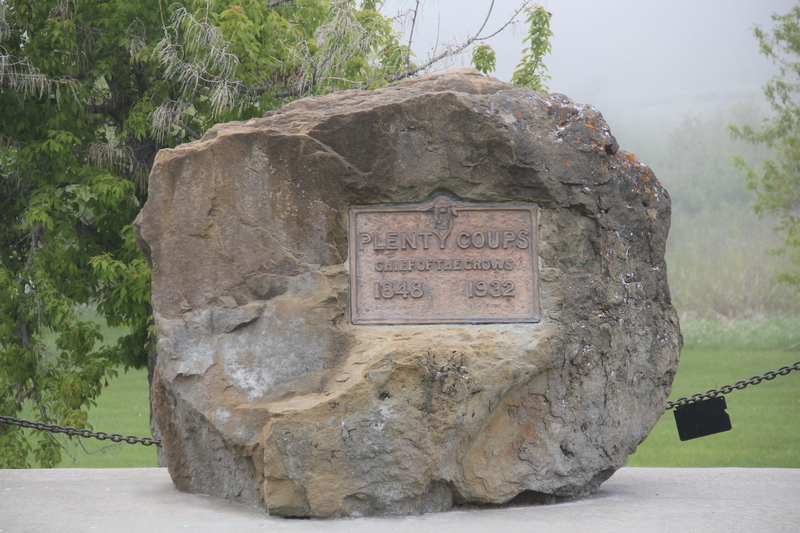 The Crows had worked with federal officials to build a road turn-off and place interpretive markers about this key battle for the control of the Yellowstone Country c. 1861, just before the time that the first permanent white settlers entered what would become Montana Territory. 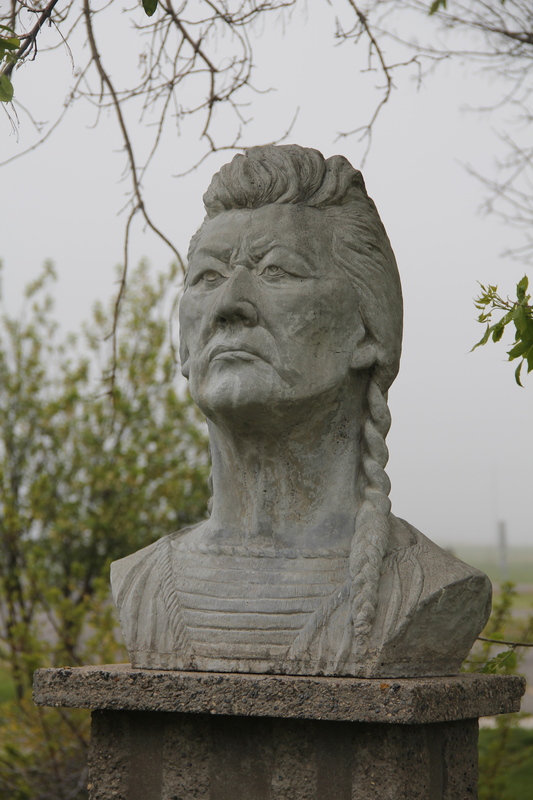 Thirty years ago, I knew from Crow historian Joe Medicine Crow that this famous battle, where the Apsaalooke secured control of the region in what Medicine Crow called a “glorious victory,” took place along Pryor Creek Road. But the markers now pinpoint the battlefield and interpret what happened plus the significance of the fight. 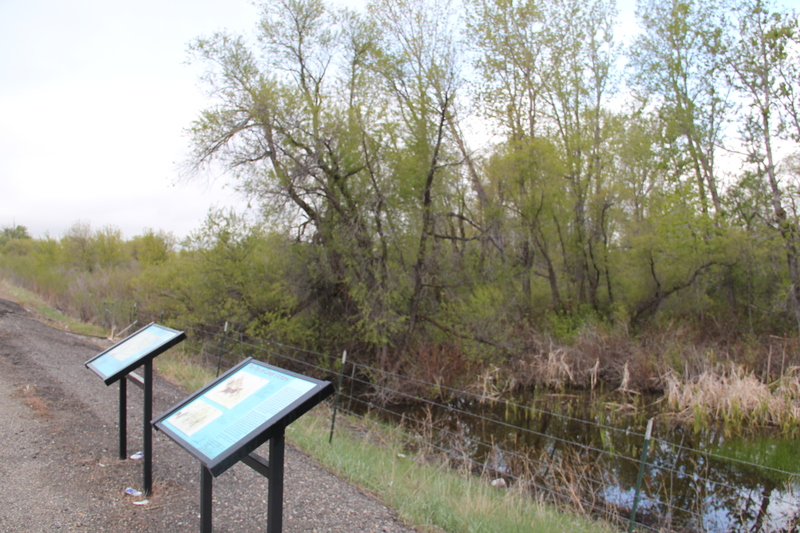 Here was suddenly a place that I had truly never “seen” before–and an indication of how good interpretive markers can make a desolate place come alive with historical meaning. Kudos to all for bringing forth this forgotten battlefield and a site of a famous Crow victory. 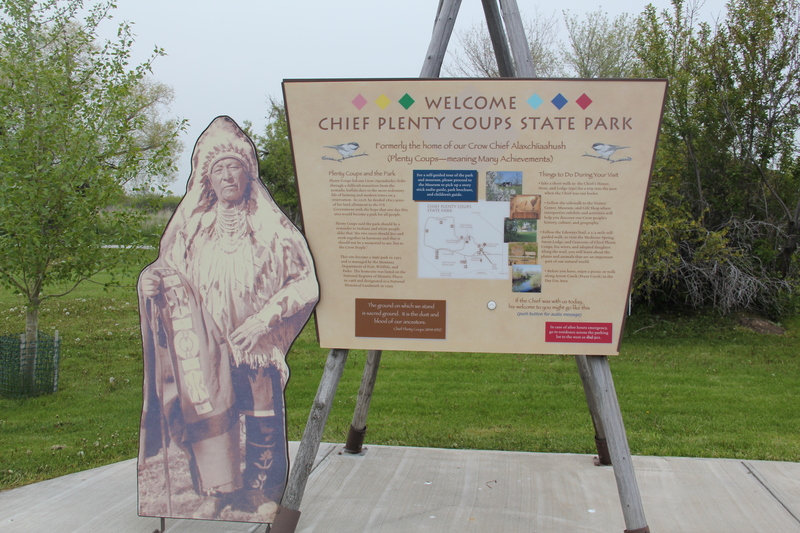 This entry was posted in Montana historical landscape and tagged Apsaalooke, Big Horn County Montana, Boyd Montana, Carbon County Montana, Crow Indian Tribe, Joliet Montana, Montana bars, Montana cafes, Montana community halls, Montana roadside sculpture, Montana Rural Schools, National Historic Landmark, National Register of Historic Places, Plenty Coups, Plenty Coups State Park, Pryor Creek Battlefield, Pryor Montana, Rock Creek State Park, U.S. Highway 212 by carrollvanwest. Bookmark the permalink.